Xtract Universal is designed to provide SAP data directly, in an optimum way and as simple as possible to all main and common BI environments. In addition, Xtract Universal supports so-called Generic Transport Protocols, if the desired data destination is not supported directly. This just covers the general standard. Thereby data can be transferred to environments which are not supported specifically. The two most important data formats are CSV (Comma-separated values) and XML with the OData-Standard. The easiest thing to do is to store the data in these formats in a file system which is determined locally or in a network and the respective destination has access to it. Access through HTTP is possible alternatively. Using this way the data will be transferred directly into the destination – without writing it on a hard disk. Office applications like Excel, Access, Lightswitch, or the Microsoft PowerTools are representatives for such a generic data transport – and of course customer-specific systems like self-developed ERP systems, Planning or Analysis applications. 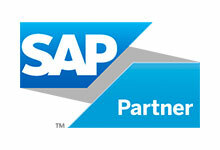 The SAP data can not only be used for conventional analysis and BI purposes but as well as for master data distribution or the connection of sub systems within a business process.